ANKARA, Turkey — Turkey’s president heavily criticized the U.S. on Tuesday over delays in establishing a buffer zone in Syria, saying that if Washington won’t contribute to the effort, Ankara will do it alone. Syria's main Kurdish parties have rejected the Turkish proposal for a "safe zone," saying Ankara's control of a 20-mile (32-kilometer) border area would endanger the Kurds. Erdogan, addressing his ruling party's legislators in Parliament, said that if the U.S. "does not keep to its promise to cleanse the region of terrorists and does not contribute to the creation of a safe zone under Turkey's control, then we will take care of our own business." Erdogan warned that Ankara's patience is waning over delays in the withdrawal of Kurdish fighters from the U.S.-patrolled northern Syrian town of Manbij. "Our patience is not without its limits. If the terrorists in Manbij are not removed within weeks our waiting time will come to an end," he warned. "In the same way, if at the east of the Euphrates, the people of the region are not allowed to establish self-rule with Turkey's support, then our waiting time will come to an end," Erdogan said. "In other words, we will have the right to bring about our own plans. ... No threat can deter us from our path, including (being placed on) a sanction list," he said. Erdogan was apparently referring to the U.S. imposition of sanctions on Turkey last year over the case of American pastor Andrew Brunson, who was released in October from Turkey after nearly two years of confinement. 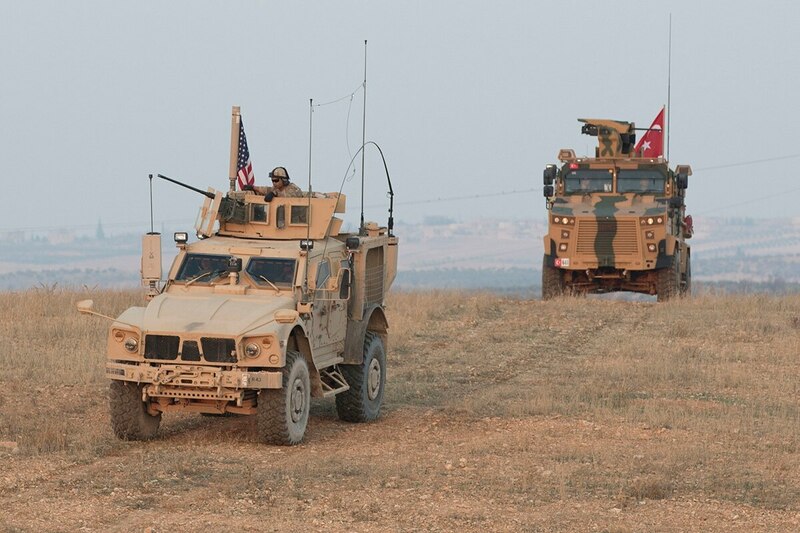 Turkey is massing troops near a town in northern Syria held by a U.S.-backed and Kurdish-led force, a war monitor said as Turkish media reported Sunday new reinforcements crossing the borders. Last month, Trump threatened to “devastate” Turkey’s economy if the country attacks Kurdish forces following a planned withdrawal of U.S. troops from Syria.